The Law of Attraction with Hypnotherapy and Dynamic Coaching! Manifest Your Dreams with the Law of Attraction! I truly believe that we all deserve to live the life we want with Abundance and ease. 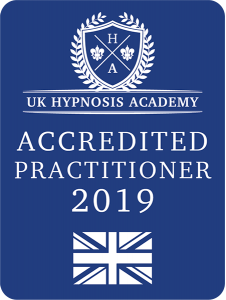 The most powerful way I believe (it works for me) is to use Hypnotherapy with the Law of Attraction, as it makes the necessary changes that need to happen with your beliefs and patterns of thinking in the subconscious mind. After reading the book ‘The Secret’ and watching the film, which is about the Law of Attraction; attracting an abundance of what you want into your life, I started using the techniques in my everyday life but I was getting negative thoughts about it and not believing that it would work, so of course it did not work! I was on my transformational journey of moving forward from years of M.E and my old life with the support of a therapist, as I cleared my old fears, negative beliefs and life baggage I started to get fabulous results using the Law of Attraction! Therefore, I created this programme to support YOU to live your life to the full and manifest your dreams too. I feel very passionate about this process! What we focus on becomes our reality; so focus on what you do want! Sessions in Burston, Diss and Norwich in Norfolk or Bury St. Edmunds, Woolpit and Eye in Suffolk. Sessions can also be carried out over Skype or the phone and I send you personal hypnosis recordings to download. I hold a Diploma in Hypnotherapy and Counselling skills, I am an Energy 4 Life Wellness Coach and Reiki Healer. The process turned out to be more interesting, surprising and revealing than I anticipated, it makes you think, reflect, consider and plan. I have liked both the journey and the new vistas which are unfolding! If you would like to chat about the Law of Attraction and how I may be able to help you; contact me for your free 20 minute chat on the telephone or Skype.